Thanks to the 5 Bolt EV drivers contributing driving data to ABRP, we’ve finally got enough data points to define our first real world consumption curve for the Chevy Bolt EV!  We can still use driving data to improve the model even further, so if you’d like to contribute your data, have a look at the instructions. Also, if you’ve got an electric car you’d like us to support, contact myself and Bo, and we’ll run you through what we need to add the car to the planner. That’s pretty good for a boxy little hatchback! 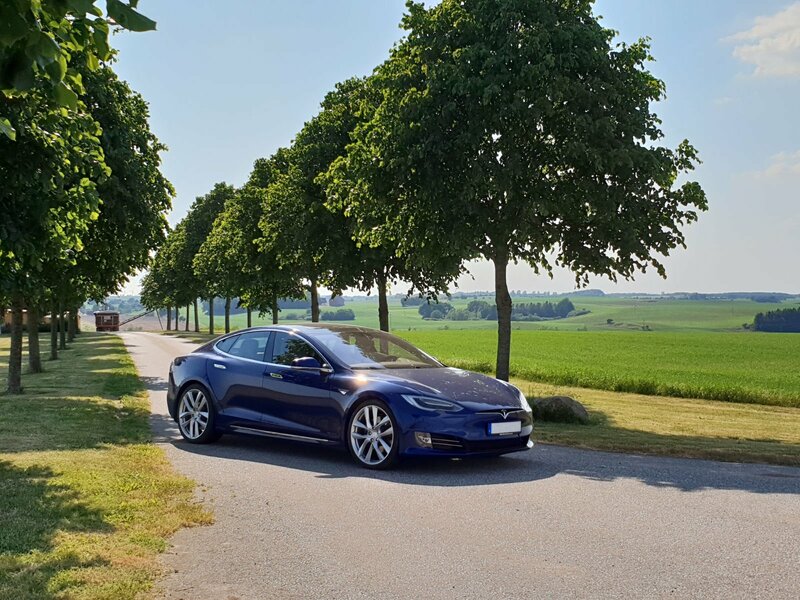 For comparison, that’s about halfway between the Model 3 (143 Wh/km) and the Model S (188 Wh/km). We’ve now updated the live model for the Chevy Bolt (and Ampera-E), so you should see the benefits of this higher efficiency in your route planning! Do note that we still set the default a little lower than that, just to ensure we give you a plan that’s not going to over-promise your car’s capabilities. 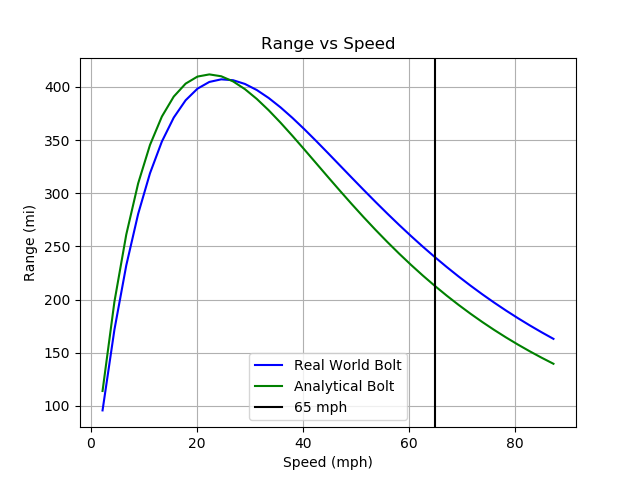 Driving range vs speed comparison between the real world driving data and the original analytical model. As you can see, the models match quite closely! 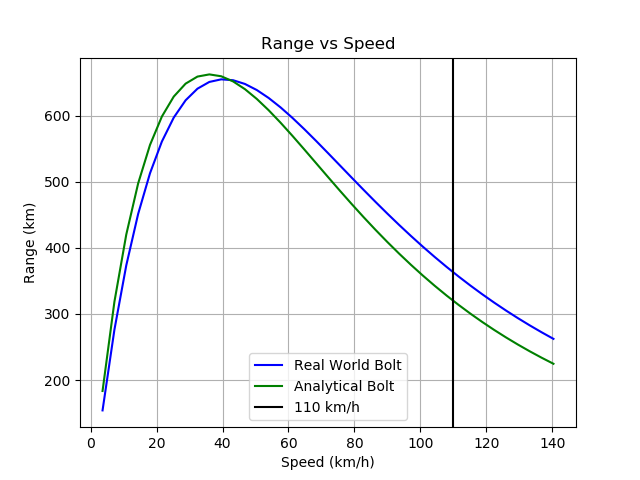 In fact, when building the Bolt analytical model, I added a 10% margin of safety to the model until we could validate using real world data, and you can see that at freeway speeds, the Analytical Bolt is about 10% lower than the Real World Bolt. Charge speed comparison, accounting for vehicle efficiency and battery size. 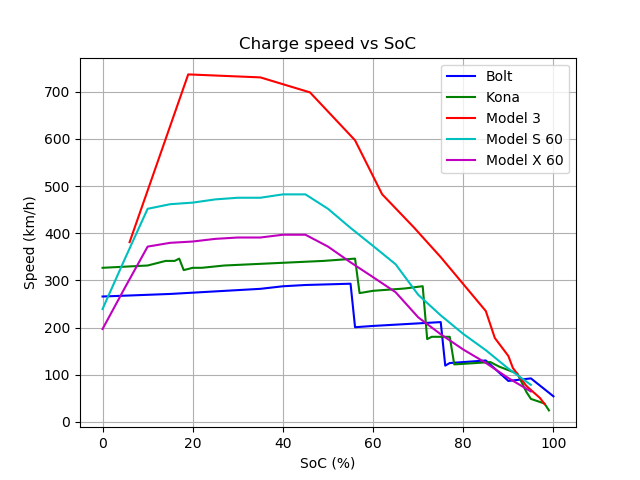 Comparing the Bolt’s charge speed to that of the Model 3, we can see why our road trip takes so long! 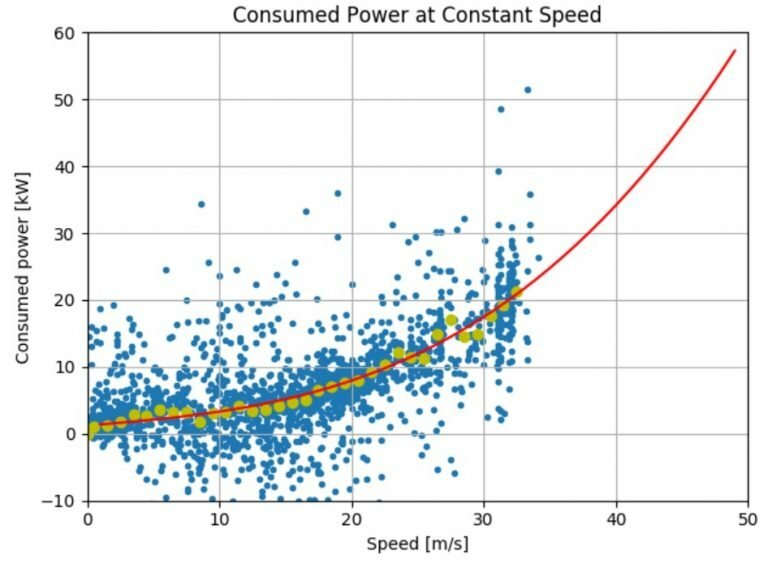 Accounting for battery size and driving efficiency differences, the Model 3 can charge nearly 2.5 times faster than the Bolt at each relative peak. All in all, the Bolt definitely can do those road trips, but it’s going to be at a much slower overall pace than the Model 3. The upcoming Hyundai Kona is a little bit faster than the Bolt, but not hugely, since it’s slightly less efficient. The larger battery makes for slightly longer range, but also means it takes a little longer to charge. Once we start getting some data, we’ll do a comparison to see how much faster the Kona really is than the Bolt. One odditity - how come the km/h charging speed graph reports 2x charging speed compared to your ioniq post? I just added my Bolt for logging. Will you soon have enough data to create temperature dependant relationships?